Someone has tackled the mammoth task of listing all the famous people in recorded history who were born on December 25th, and have concluded there have been 232. Included in that number are Sir Isaac Newton, Louis Chevrolet (after whom the car is named), Anwar Sadat, Clara Barton, Conrad Hilton (of hotel fame), and actor Humphrey Bogart. As near as can be determined, over the course of the 98 years the NHL has been in operation, only an even dozen pucksters have shared that distinctive date of birth. How many of them feel, or felt, as Dolly did is not known—but at least two did—as their profiles will reveal. Strangely enough, it wasn’t until 1944 that a major league shinny competitor could boast of this rarity. Steve Wojciechowski, who hailed from Fort William, Ontario, was born in 1922. It will be no surprise to hear that when he arrived on the big league scene, he was applauded by broadcasters and sports writers for shortening his moniker, changing it to Wochy. A precedent had already been set by his hometown peers several years before, when his older brothers played the game locally. They had abbreviated their sixteen-cylinder handle for their own convenience. A better-than-average Junior player, he made his Big Time debut with the Red Wings, and had an impressive rookie season. He finished 20th in league scoring, with 19 goals and 20 assists in 49 games. But, typically, in the “Original 6” era, even good players ended up in the minors after a decent campaign. He returned for a handful of contests two seasons later; but spent 10 years of his career in the AHL. 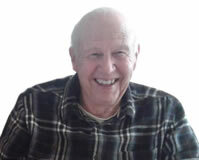 In 2009 he hit the headlines in Sault St. Marie, where at age 86 he was in the spotlight signing autographs for fans. He revealed that even then, many moons after retiring, he still got copies of his photo from several places, asking for his signature. He signed every one and mailed them back. Much the same scenario existed when the next Christmas baby was introduced into the NHL. 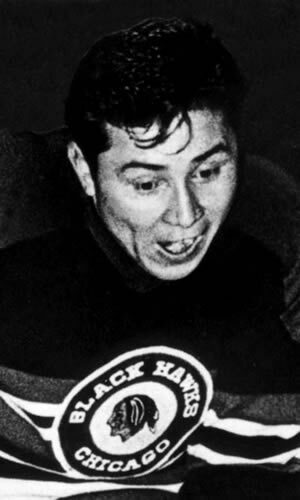 Fred Sasakamoose, a native Canadian from the Sandy Lake Reserve in Saskatchewan joined the Blackhawks during the 1953-54 campaign. Not only was he the best-known full-blooded Indian to reach shinny’s lofty heights, but his name also caused pronunciation exasperation. He joined Chicago in Toronto for his first game, and during the pre-game warm-up, the incomparable Foster Hewitt beckoned him over the boards. “Do you pronounce your name Saskatchewanmoose, or Saskatoonmoose?”, he inquired. Few ever got it right—and his ID still appears in print often misspelled. Perhaps, in that light, it is fortunate that he remained only 11 games in the Windy City before being shipped to the minors. It was not because of his lack of talent. Former Red Wing, Metro Prystai said: “He had a hard, accurate slap shot, and he has tremendous wrists. And he could skate. He had the best reflexes I ever saw—even better than Gordie Howe”. Once featured in a volume about Native Canadian athletes, he was dubbed “The Reluctant Blackhawk”. His wife hated cities, and he refused to leave her home alone while he pursued his career at that major league level. He was content to confine himself to the old WHL or Senior hockey during the few years he continued in the game. Larry Cahan pulled on the Blue and White of the Maple Leafs the same season as “Chief Running Water”. Spending a year and a half with Toronto he was taken by the Rangers in the Intra-League draft. Big for his day, Joe Pelletier describes his approach to the game as “rock ‘em, sock ‘em.” “Enforcer” was not a term used in the “Original 6” era, but, along with his defensive duties, he admitted that he used to “fight at the drop of a hat” in his early career. He was a tough customer, and one writer called him “the Ranger’s heavyweight champion”. The 1967 expansion rescued him from the minors, when he was taken by the Oakland Seals. He then moved to Los Angeles for three seasons, and one more (plus three games) in the WHA’s Chicago Cougars, before retiring. No Mom or Dad ever accented a son’s birth date more markedly than Noel Picard’s parents. “Noel”, of course, is the French equivalent of “Christmas”. 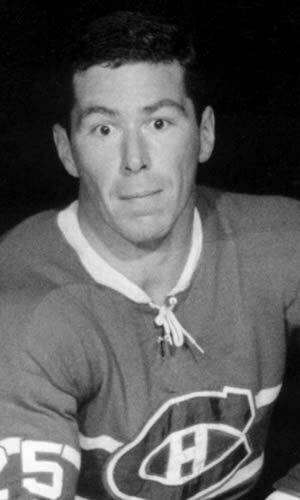 It seemed he was destined to spend his shinny tenure in the minors after playing 16 games with Montreal in 1964-65. But the St. Louis Blues saw potential in the steady rearguard and drafted him from the 1967 expansion pool of players. His booming shot from the point during the man-advantage was his main forte. His courage was also an outstanding personality trait. In 1971 he was horseback riding near St. Louis, when the animal reared and fell on him. His foot was so badly mangled that the attending physician said he would never play hockey again. But he did—16 more matches with the Blues, and 41 with the Atlanta Flames. Of course he is immortalized (and maybe demoralized) by that famous photo which catches Bobby Orr flying through the air, courtesy Monsieur Picard, after scoring the 1970 Stanley Cup winning tally. Two Detroit area boys were playing ball hockey on the street. As was often the case each guy picked the name of a Red Wing player whom he was seeking to emulate. Not surprisingly, an early choice was, “I’m Gordie Howe!” However, it was much to the chagrin of a father who overheard it. The boy was named Gerry—Sid Abel’s son. A Motor City newspaper headline in March 1967 hailed the fact that “Howe and Abel are together again. 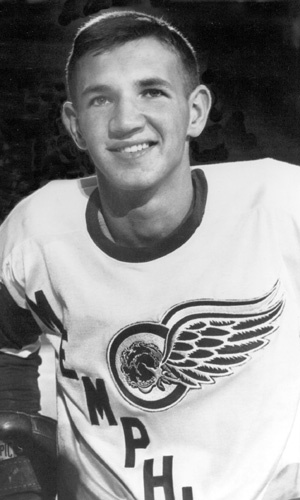 But this time it is Gerry Abel, son of the Red Wing’s manager!” Mr. Hockey was in his 21st season at the time, and in contrast old “Boot Nose’s” offspring was making his NHL debut. He was called up from the farm to fill in for the injured Paul Henderson, and it was projected he would play not more than one or two games. It turned out to be just one—and his “line score” was 0-0-0-0. He never made it to the top again. Brian Stapleton is barely a blip on the NHL’s historical screen. 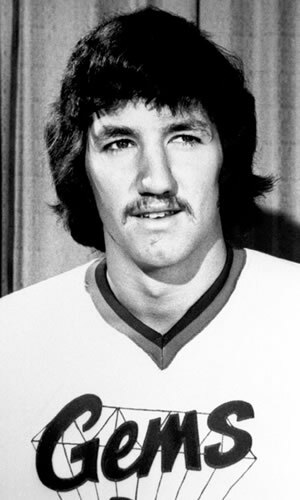 He too pulled on a big league jersey but once—with the Washington Capitals during the 1975-76 season. A graduate of Brown University, he was called up from Fort Wayne of the IHL for a three-game trial—but participated in only one—with identical stats as Abel. He played two more season in the IHL. Edmonton-born Dave Kryskow didn’t start playing hockey until he was 12 years old, and was 19 before he advanced to the Junior ranks. But his second and last season in the WCHL saw him bulge the twine 42 times, impressive enough for him the catch the eye of Chicago’s prairie-based scouts. He apprenticed with the Central League Blackhawks, was just one point behind the club’s leading scorer, and was voted to the First All Star team in his second campaign with the club. 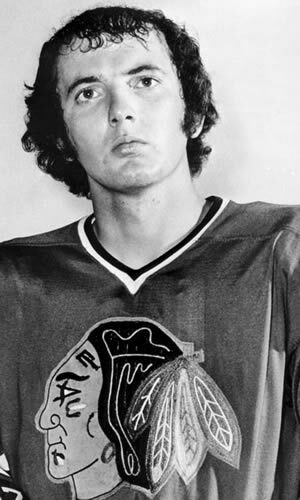 During a look-see with the parent Hawks during the playoffs in the spring of 1973, he scored twice for the big club, which opened the door for him to become a permanent fixture in the Windy City the next fall. But when the NHL expanded in 1974, he was left unprotected and snatched up by Washington—their first non-goalie claimed in the draft. He scored in the Cap’s first game, and also scored the sextet’s initial short-handed marker. After a short stay in Detroit, and a full schedule in Atlanta, he jumped to the WHA. When asked if being born on Christmas Day affected his life in any special way, he maintained that he never felt gypped because the two traditional gift-giving days coincided. Presents never were an issue in his Catholic Christian family. “Jesus being the reason for the season”, held priority, coupled with thankfulness for health, happiness, and home. That was enough—and still is, he claimed. Dmitri Mironov, along with Vitali Prokhorov, are the only two non-North Americans to share in this unusual distinction. Because of the dominance of the philosophy of Communism in their native USSR, Christ’s birthday had little special meaning to them. In fact Mironov declined comment when approached about the subject. 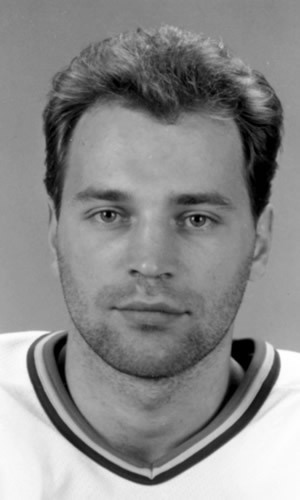 But his dream to play in what was formerly called the Russian Elite League was realized in 1985 when he was just 20 years old. When he was chosen to represent his country in the 1998 Olympics he was top producer for his team. But because of the collapse of the Russian economy, by then his annual salary of 2.500 rubles translated into about $27.00 monthly. So he jumped at the chance to pull on NHL livery. He commenced his nine-year stint with Toronto, moved to Pittsburgh, Anaheim, Detroit, and finally Washington. 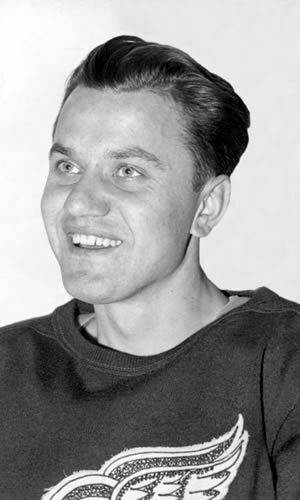 “Tree”, as he was known to his teammates (“Dima” to his Soviet buddies) logged 556 contests in the world’s premier circuit before returning to Europe. Fellow countryman, Vitali Prokhorov, is hardly a household name on shinny circles. 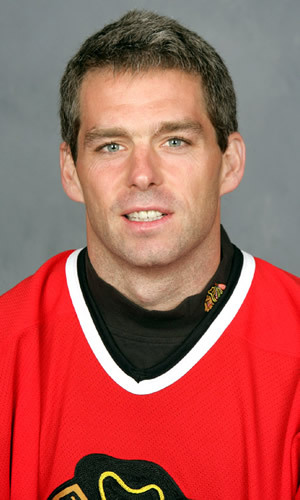 However, based on his performance in the 1991 Canada Cup and 1992 Winter Olympics, he was drafted by the St. Louis Blues. He hit the Big Time with a flurry scoring a hat trick on Halloween Night in 1992—not a bad start for the smallish forward. But injuries took their toll. Less than two months later he incurred a season-ending hurt. A broken toe slowed his return the following year, even though he totaled 15 goals in the remaining 55 games of the schedule. But the arrival of “Iron Mike” Keenan spelled “finis” to his NHL career. He used him for only two matches in ’94-’95, and released him at season’s end. Jim Dowd was one of those rare Americans who played for the NHL team in his home area. He was the first New Jersey-ite to don the colours of the Devils. His parents had moved from the Southern United States before he was born, settling in Brick Township. This gave the future puckster a better-than-average chance to learn the game, since there were two ice rinks there. He was a high school sensation setting scoring records; then carried this superiority onto the college scene, winning the Hobey Baker Award as the best U.S. college player in 1990-91. When he moved to the NHL, the row became harder to hoe. His service with the Devils was spasmodic at best, logging a drastically limited number of games the first four tries. But he stayed with the big club long enough in 1994-95 to get his handle engraved on Lord Stanley’s silver chalice. His Mon and Dad’s philosophy of “whatever you do, put a real effort into it” kept him from becoming discouraged. Eventually it paid off. 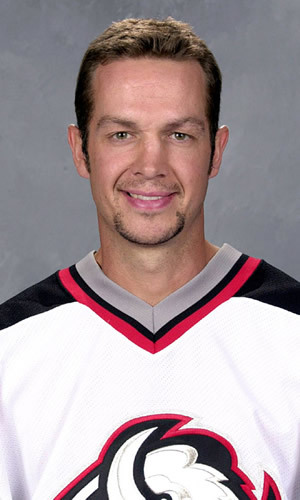 He was swapped to Vancouver halfway through his fifth season, moved onto the Islanders, Calgary and Edmonton, before getting his break with the expansion Minnesota Wild in 2000-2001. He assisted on the new franchise’s first ever tally, and on their first power play marker. He never regained the touch he had before turning pro, but totaled 728 games before retiring, adding stints with Montreal, Chicago, Colorado, New Jersey (again) and Philadelphia. He last made headlines due to an unfortunate incident. While coaching a high school team, one of the player’s parents charged him with assault, claiming he kicked their son in the back while the teen sat on the bench. Admitting he did lose his tamper with the kid, he nevertheless maintained he barely touched him. The case was dismissed, but the damage was done—he was let go by the team. 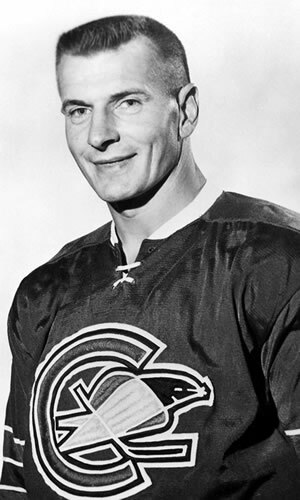 Joel Savage was often in the spotlight during his days with the WHL Victoria Cougars. In 1987-88 he potted 37 goals and was voted to the West Second All Star squad. 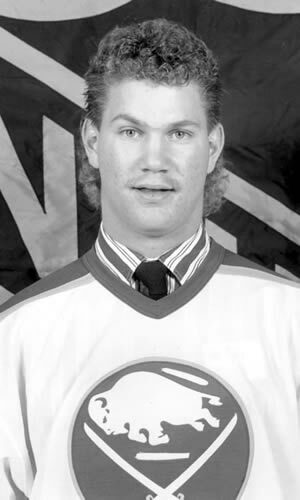 One opposition coach referred to him as “the heart and soul of that club.” As a result he was listed as an “Elite Prospect” as the 1988 draft approached, and was picked 13th overall by Gerry Meehan for his Sabres. But he actually only wore Buffalo’s colours for three games. Over the course of 19 campaigns he skated for 13 different organizations, including four different minor pro sextets, Canada’s National teams, and five different European squads. He just never lived up to the prognostications penned about him. Probably the most talented of all the December 25th crew was Stu Barnes whose career in the NHL spanned 1136 games, and who racked up a total of 597 regular-season points. A Junior sensation with the Tri-City Americans, he earned MVP honours before moving directly to the NHL without apprenticing in the minors. He was thought of so highly in his home town of Spruce Grove, Alberta, that an arena is named after him. 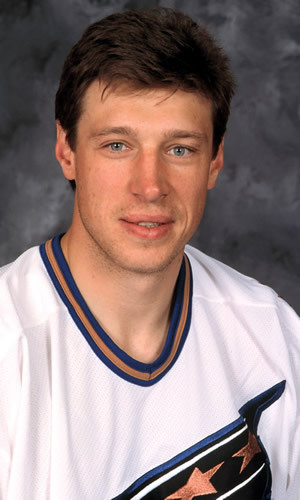 The Winnipeg Jets also held him in high regard, and drafted him fourth overall in 1989. But, as is sometimes the case, his transition to big league shinny was not a smooth one. He skated in only parts of three seasons with the Manitoba fraternity before being traded to Florida. He finally clicked when his next stop took him to Pittsburgh. He was a 30-goal scorer in 1997-98. Always a rough and tumble guy—especially for one considered “small” for the Big Time—he was suspended four games while in the Steel City for a slash which broke Bruin’s captain Joe Thornton’s left arm. With Buffalo, he never repeated his impressive points totals, but was a 1999 playoff hero, depositing the puck behind the opposing team’s goalie seven times, leading the Sabres into the Stanley Cup Final against Dallas. He was also named captain of the team, revealing management’s confidence in his leadership qualities. Ironically he rounded out his tenure in the NHL with a five-year stint in Dallas, donning an Assistant Coach’s mantel after his retirement. December 25th is listed as one of the bad days on which to be born. September 11, which, because of 9/11, is a sad day, is another. April 1st is one more—because one gets pranks more than presents. February 29th gets a thumbs down due to the fact that one only gets remembered every four years—and a person can be only 14 and yet have wrinkles. Still there is a positive spin by others who claim that Christmas is a great day to come into this world—because you get twice the gifts. The NHL managed to get a dozen which left their mark on its lengthy history.